Last week marked the deadline for members of the Class of 2017 to accept jobs through corporate recruiting. This deadline follows two cycles of recruiting this fall, and if past trends hold true, most of the class will go on to finance and consulting roles. According to the Center for Professional Development’s Cap and Gown Survey, which is a career survey administered by the CPD every June, over 50 percent of the Class of 2016 works in finance or consulting, which are fields that typically recruit through on-campus recruiting. A majority of surveyed seniors haved work in these two industries post-graduation for the last four years. Statistics from the survey also show that the technology sector is increasingly becoming a popular career path. Thirteen percent of respondents from the Class of 2016 are working in technology, compared to 12 percent of graduates in 2015, 6 percent in 2014 and 4 percent in 2013. Other colleges are seeing similar trends. The University of Pennsylvania witnessed a 6 percent increase in the number of graduates working in technology from 2013 to 2016. At Harvard College, the technology and engineering industries attracted 20 percent of its seniors this year, which has risen from 13 percent in 2013. Penn and Harvard are also known to churn out financial analysts and consultants. However, unlike Dartmouth, no more than 50 percent of its graduates have worked in finance and consulting consistently over the last few years. Seung Wook Kim ’15, who will graduate from the College after this term, believes that the CPD does not provide enough resources for students not interested in finance or consulting. “[The CPD] could get companies from more industries other than finance or consulting to be listed on DartBoard,” Kim said. CPD Senior Associate Director Monica Wilson said other students have raised similar concerns. However, Wilson noted that the CPD provides many resources for students who have interests in other areas. According to Wilson, in addition to over 6,000 job postings on DartBoard, the CPD helps students find jobs on Capitol Hill or at nonprofit organizations. The CPD also funds immersion trips to cities around the country, brings guests speakers from various fields and has implemented programs facilitate students’ job search across different industries. 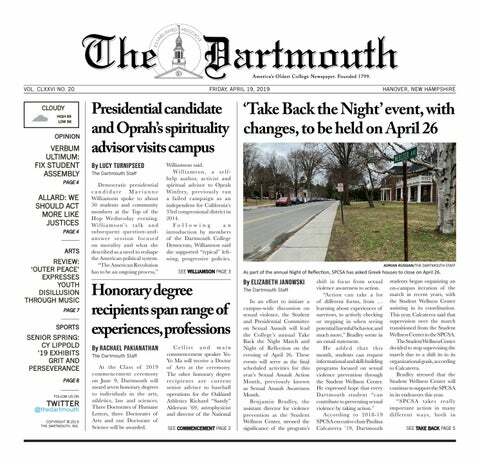 An example of one of these programs is Dartmouth Circles, an online networking platform that promotes conversations between students and employers. This year, the CPD has implemented changes in its recruiting process to fit the needs of more students, according to Wilson. For students seeking internships during their junior summer, the CPD now allows employers to recruit sophomores during their sophomore summer or junior fall as opposed to only during their junior winter. As a result, a smaller number of employers will be on campus this winter. Wilson explained that a large absence of sophomores during their winter term was the main reason behind this timeline shift. Meanwhile, the CPD is also planning a program called, “Is Recruiting For Me?” through which sophomores and first-years can learn more about the recruiting process and whether their interests align with the types of employers that often recruit on campus. Wilson also emphasized the importance of students meeting with CPD advisors especially if they are unsure about their career interests.